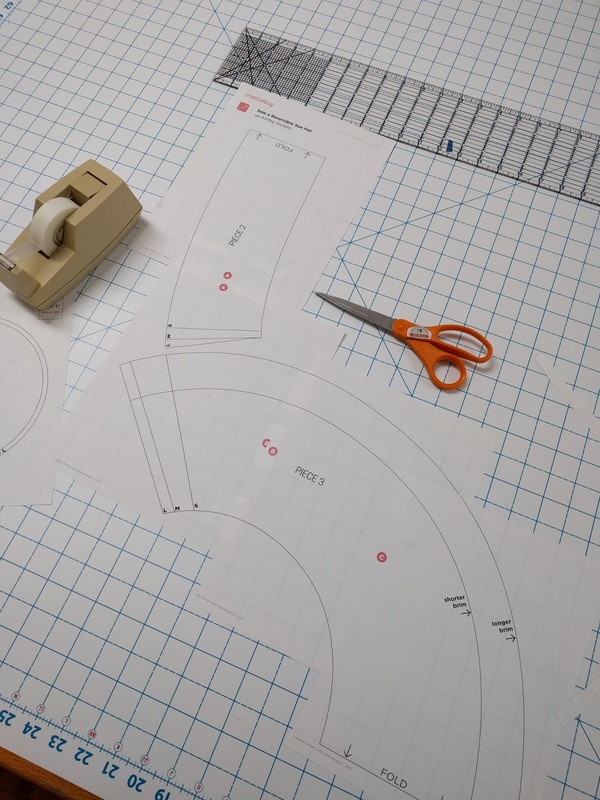 So, you just purchased a PDF pattern for a garment and you are excited to get right to it. But...how do you put it all together? Here is a quick run-down of what you need, plus some helpful tips. 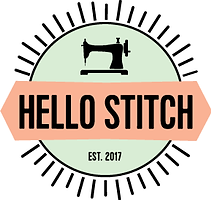 With a little bit of patience you'll be back at the sewing machine in no time! 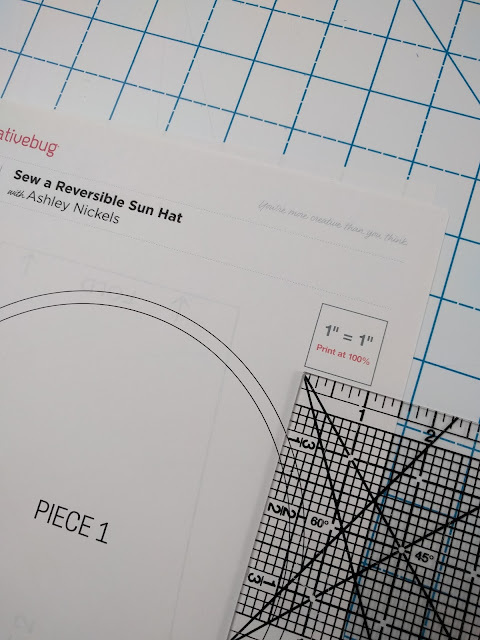 Follow the printing instructions from the pattern company. TIP: Many patterns have up to 20 pages or more. Print one test page first by finding the "test square" and only printing that page. That way, if your printer settings are not set properly, you'll only have to throw away the test page, not the whole kit and caboodle. Typically, the "test square" is found on the first page of the pattern pieces. Take your ruler and measure the test square. The square should measure out exactly as the pattern indicates. If it does, go ahead and print out the remaining pattern pages. As you can see above, the pattern indicates that the square is 1 inch, and indeed it is according to the ruler. TIP: If the square does not measure up, the usual culprit is a small check-box in your printer settings that says "Fit to Page". Be sure this box is NOT checked. Note -- every pattern I've printed so far is printed out in order by rows, be sure to keep your printed pages in the order they were printed as best you can. It will save you the headache of sifting through them for the next step. Line up the pages. In the picture below, you can see letter A from one page lines up to letter A from it's neighboring page. Sometimes these reference points line up exactly, but I have seen patterns where they do not. TIP: It is most important for you to create a smooth and continuous pattern line than for you to get those reference points together. In the picture above, you may also notice that the pattern lines do not extend to the edge of the paper. This is done by design, and requires you to do some trimming. Trim one side of the pattern pieces you are trying to align. Be sure to trim all the way up to the line but don't cut off any of the lines. 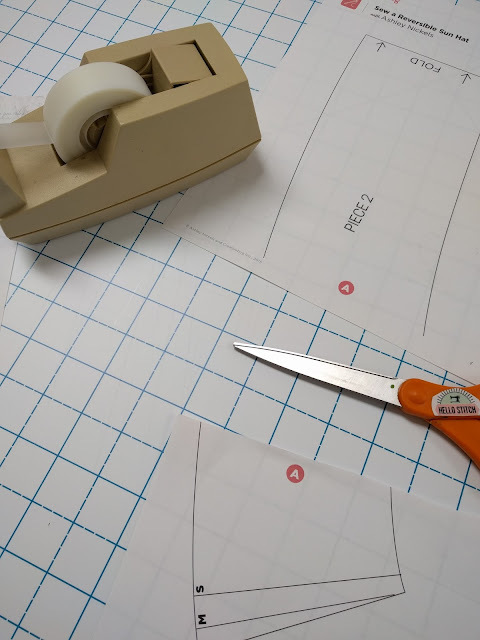 Because the pattern pieces are now made from computer paper and tape, they can be quite stiff and at best, tricky to work with. 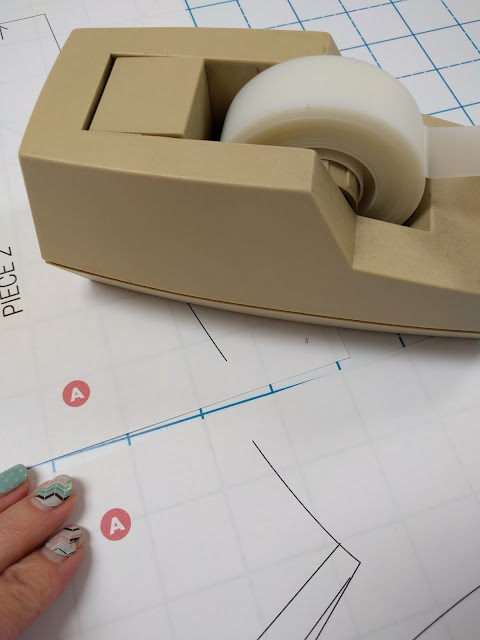 TIP: Trace your pattern size onto tracing paper or pattern paper and keep this taped one as your un-altered original for future use or reference. Congratulations, you just completed the assembly of your PDF pattern!